As we come towards the end of summer, the majority of European football’s elite divisions is now up and running for the 2016/17 season. 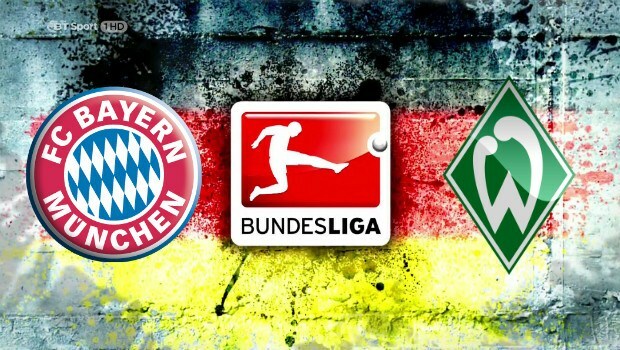 This Friday, Germany’s world famous Bundesliga will join the fray as reigning champions Bayern Munich welcome Werder Bremen to the Allianz Arena. The celebrated hosts will be hoping for another season of complete and utter dominance to parallel their efforts in 2015/16, when they dropped just 14 points on their way to winning the league title by a comfortable ten-point margin. Their winning formula seemed to work particularly well in front of their home fans too – they lost just one game at the ALlianz Arena all season and scored at a rate of three goals per game on average. Their opponents for Friday’s evening’s curtain-raiser will be Werder Bremen, who had their narrow 1-0 win over Frankfurt on the last day of the season to thank for preserving their Bundesliga status. With only Stuttgart conceding more goals in 2015/16, a lot of work and a little luck is clearly required if Werder is to avoid a repeat scenario this time around. Ironically, it was their form away from home that ultimately kept them safe, although their history of conceding two goals per game on average is less than ideal when taking on a fit and fresh Bayern in their own backyard. Will Bayern be Better in 2016/2017? If anything, Bayern is stronger today than it was 12 months ago. The talented Mario Gotze has now departed, yet with Bayern enjoying such a glittering array of stars to pick from, even he found it tricky to break into their world-class starting eleven. Promising youngsters Pierre-Emile Hojbjerg and Sebastian Rode have also left for Southampton and Borussia Dortmund respectively. For a lesser team this may have been cause for worry, but not Bayern Munich. In their place have come Mats Hummels, the dependable German international, and Renato Sanches, the 18-year-old who starred for Portugal in their winning Euro 2016 campaign. Pep Guardiola may also have swapped Munich for Manchester but in his place comes Carlo Ancelotti, an Italian with a stacked CV that includes league titles in three different countries and a trio of Champions League triumphs. Does Bremen Even Have a Chance Against Bayern? In contrast, the Werder team is having to operate within a very different financial scale, with Max Kruse their only significant acquisition of the summer. Heading in the opposite direction are solid young defender Jannik Vestergaard and last season’s second-top goalscorer Anthony Ujah. Coach Viktor Skripnik will have to call on all of his experience to fashion a winning formula. Any feelings of desolation in Bremen were exacerbated by an embarrassing 1-2 defeat to third-tier side Sportfreunde Lotte in the first round of the DFB Pokal Cup–again, not ideal preparation for a trip to face the reigning champions. Bayern has enjoyed a rather more fruitful pre-season campaign with victories over Inter Milan in the International Champions Cup and Dortmund in the Super Cup. While flying winger Kingsley Coman may have picked up an injury, the emergence of Julian Green as an outstanding talent and the evergreen performances of Franck Ribery will help to ease any concerns there. The bad news keeps on rolling for Werder. The side has failed to beat Bayern in its last 18 attempts, a run which includes 13 consecutive defeats from 2010/11 to the present day. Just a glance at some of the score lines – 4-1, 6-1, 7-0, 5-2, 6-0 and 5-0 – illustrates the extent of those demolitions. Oh dear. You get the feeling that something similar could occur on Friday, with Werder’s confidence at an all-time low and Bayern hungry to get its campaign off to the best possible start in front of their own supporters. What are the Best Bets for Bayern Munich vs Werder Bremen? Over 2.5 goal verdicts have been recorded in six of the last eight meetings between this pair, although that is priced rather prohibitively this time around, so having a gamble (in all senses of the word) on over 3.5 goals at 20/29 with NetBet will interest plenty. The Bayern -2 handicap has also been successful in that six of eight, and at 5/6 with the NetBet great value is to be had. Stat fans will note with relish that Werder hasn't scored in any of its last five tussles with Bayern: the Munich outfit is available at 4/5 with Coral to win to nil, and that looks to be the soundest investment of the bunch. With all the top divisions in the world kicking-off these last few weeks, punters are sure to be looking for the top online bookmakers to get the best odds. For all the latest Bundesliga odds all season long, be sure to visit NetBet's world-class online bookmaker!